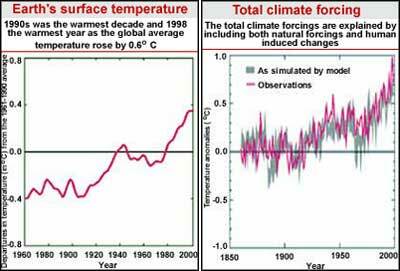 The global average surface temperature rose by 0.6C over the 20th century. Climate change is a stark reality threatening everyone. Countries like Maldives realise they are at imminent danger from the effects of climate change. Low lying areas are threatened by the rise in sea level. The global average sea level increased by 0.1-0.2 metres during the 20th century as snow cover and ice extent on the polar caps decreased. Humans have caused radiative forcing by emitting more and more greenhouse gases such as methane into the atmosphere.